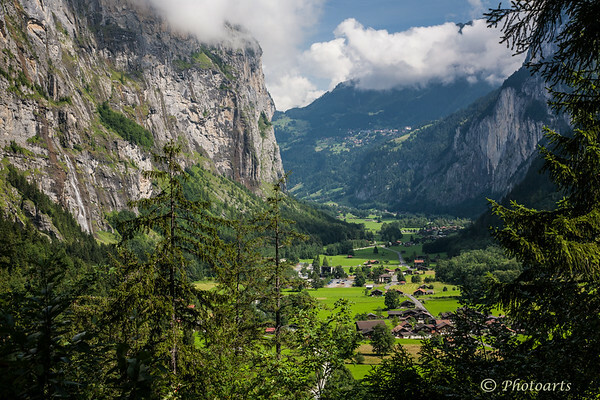 Hiking down to the town of Lauterbrunnen nestled in the valleys of Swiss Alps one comes to understand why this part of Europe is so famous for its natural beauty and amazing views. Amazing view, wonderful village below. Wonderful shot and I love the POV!